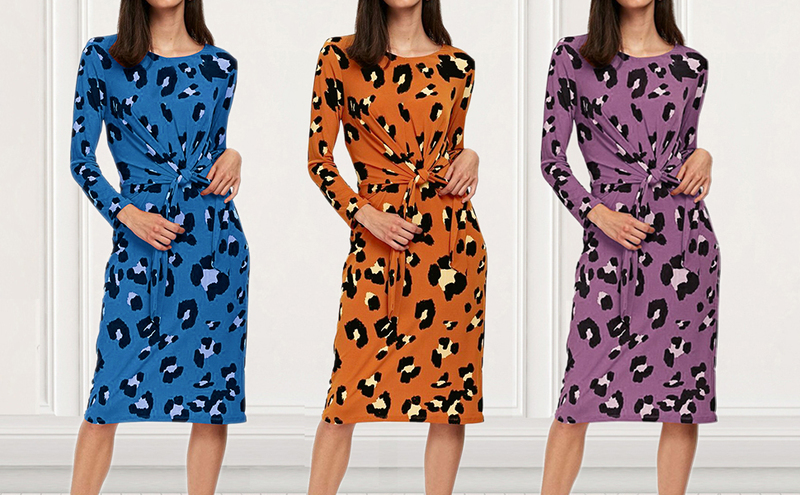 Pick up this trendy MEROKEETY Women’s Long Sleeve Crew Neck Leopard Print Tie Knot Front Casual Midi Dress for just $16.99 with FREE Prime shipping or free shipping with $35 purchase, plus FREE returns! Available in 4 colors, sizes S-XL. You can order one in each color with this Lightning Deal!